BREXIT: How would you vote now? Voters in the Fylde Coast were clear - we want OUT of Europe. We are said to be days away from Prime Minister Theresa May triggering Article 50 to formally start the process. Nine months on from the historic vote, we want to know how you would vote now given a second chance at the ballot box. Are you still a committed Remainer? Or is Leave the best thing for our country? Has the fall-out since the June referendum changed your mind? 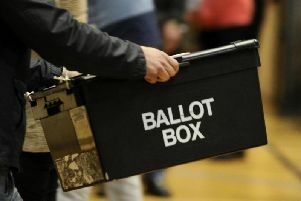 Vote in our exclusive poll - the results will be published in The Gazette and online at www.blackpoolgazette.co.uk soon.